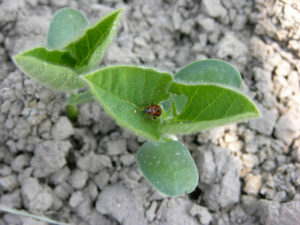 Bean leaf beetles (BLB) are showing up in early planted soybeans that were treated with only fungicide seed treatment. As the result of area wide use of insecticide seed treatments, this pest had much of a presence over the last decade. 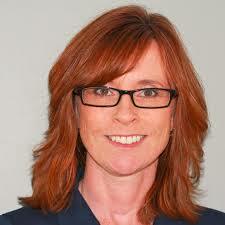 Thankfully, rescue treatments are still possible if threshold has been reached. BLB have a great predator response. They quickly drop off the plant and run into soils cracks to hide if they detect your presence. Try to create as little disturbance as possible when scouting and avoid casting shadows over the plants that you are trying to assess. I tend to try to look a few metres ahead to spot them before they spot me and hide. Scout random areas of the field, as they do tend to be more prevalent at the fields edge. For soybeans in the VC to V2 stage, calculate the average number of beetles per metre (or foot) of row and make note if plants are being clipped off. Soybeans in V3 and beyond, assess the percentage of defoliation that they are doing. Defoliation is often overestimated. 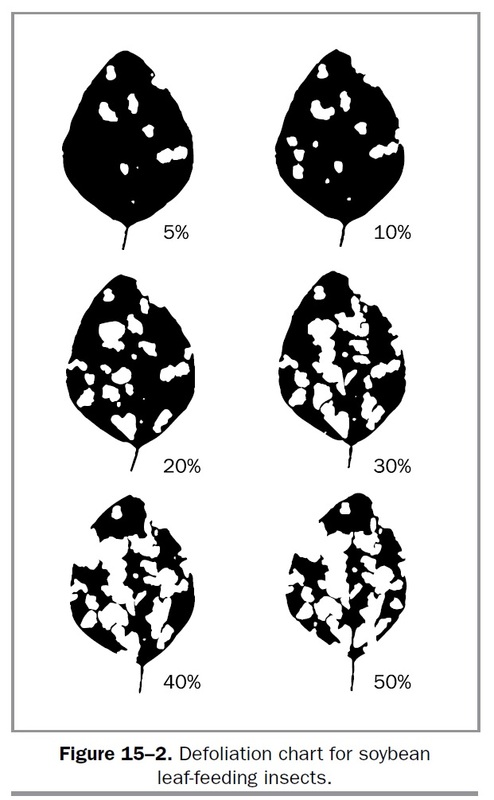 When assessing defoliation damage, do your best to visually push all of the holes to one area of the leaf and determine what percentage of the leaf would be missing. Seedling stages (VC-V2): 16 adult beetles per 30 cm of row. If plants are clipped off at the stem, control is warranted. V3 and all vegetative stages prior to Bloom: 30% defoliation – See the defoliation chart below for soybean for further guidance. A number of foliar insecticides are available. Go to the Soybean Chapter of the Field Crop Protection Guide for a list of products. Avoid spraying pyrethroid products in the heat of the day to ensure their effectiveness. Additional information on BLB is also available in the Agronomy Guide for Field Crops and the Pest Manager app.